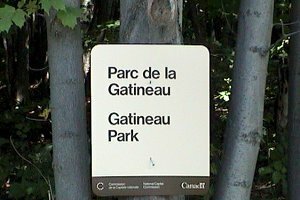 This loop covers the soutrern end of Gatineau Park, a federal park that is overseen by the National Capital Commission. (See the NCC's Gatineau Park Master Plan.) This park has an extensive trail system and many of the sites mentioned here are accessable through these well-maintained hiking and ski trails. 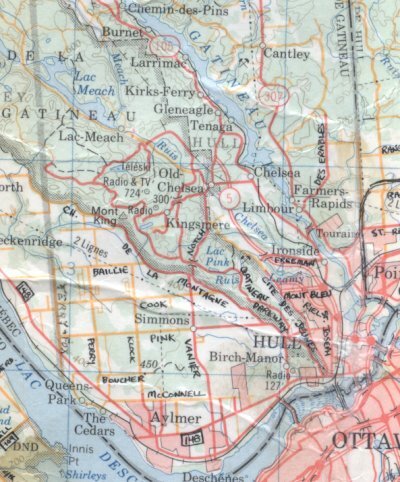 The southern edge of the Gatineau escarpment provides a very different habitat grouping as compared to the adjacent Ottawa River Valley. Perhaps the best birding site on the route is the Champlain Lookout area. Highlights are the Ottawa circle's only known breeding Cerulean Warblers, along with Yellow-throated and Philadelphia Vireo, Yellow-billed Cuckoo, Swainson's Thrush, easily seen Mourning Warbler, etc. This tour begins near downtown Hull. If you want to give the non-birding members of your family an interesting time while you're out birding, leave them here for the day to let them soak up the French-Canadian culture or visit the magnifique Canadian Museum of Civilization. * Indicates that page is not enabled.